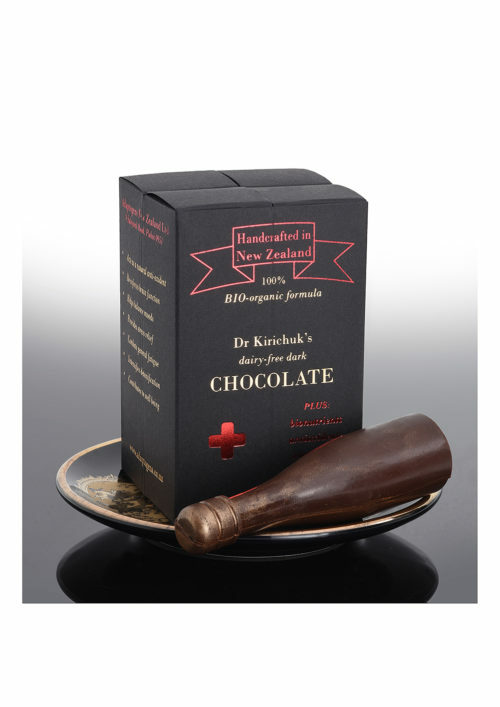 Dr Kirichuk’s Functional Dairy-free Chocolate is Dr Kirichuk’s original invention and a new exciting product in her healthy Functional Food range. 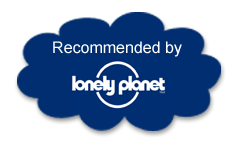 This sensational product is based on dark chocolate, which has been known for its health-giving properties for thousands of years and the name of the chocolate itself literally means “the Food of Gods”. In our days, scientists have placed dark chocolate in the honorary category of “Superfoods”. However, just as many other superfoods, natural dark chocolate fell victim to the commercial greed. The majority of the so called chocolate products on the shop shelves are in fact highly processed foods laced with harmful additives, white sugar and dairy-related ingredients such as milk powder (which binds to valuable antioxidants, inhibiting their absorption). 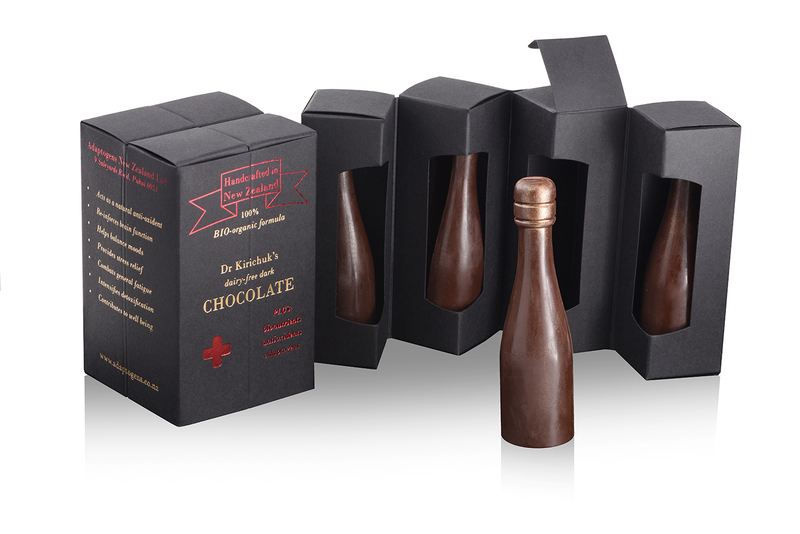 Unlike mainstream chocolate products, Dr Kirichuk’s handcrafted Dark Chocolate ‘bottles’ contain no dairy products whatsoever – curative coconut oil is used instead. 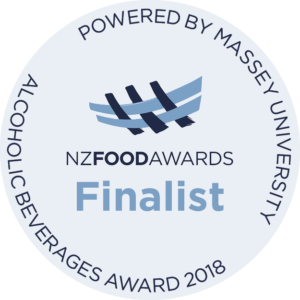 The sweetness is provided by such healthy expensive ingredients as New Zealand honey and natural fructose. 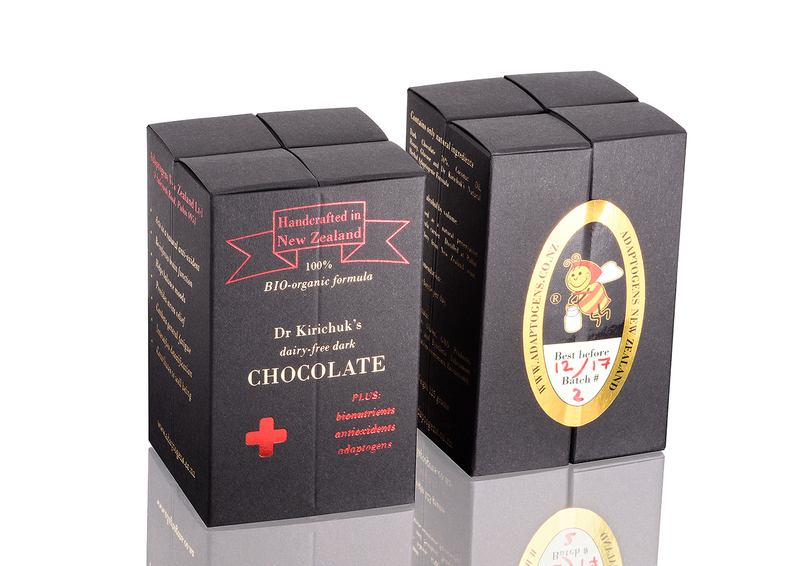 Dr Kirichuk not only has restored the natural dark chocolate in its full Superfood glory, but also took it to the next higher level by infusing it with her special BIO-organic formula containing sophisticated composition of adaptogenic botanical extracts. This adaptogenic botanical formula assists active absorption of the Chocolate’s valuable anti-oxidants. 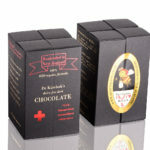 Everything should be enjoyed in moderation, and therefore, Dr Kirichuk limits the recommended daily dosage of her Functional Dairy-free Chocolate to one chocolate bottle (weighs 32 grams). This daily dosage is sufficient to obtain the health benefits explained below. Contains high level of Flavonoids, which act as powerful Anti-oxidants in the body, mopping up free radicals and slowing ageing. Lifts Endorphin level in the brain, creating a sensation of permeating bliss, such as the fabled ‘runner’s high’. Contains natural neuromodulator (Phenylethylamine) which our brain produces in response to feelings of joy and love. Helps our brain generate its own antidepressant – Serotonin. This is a neurotransmitter produced by the body, which provides us with stress relief. 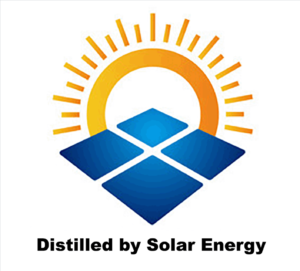 Helps our system combat Chronic Fatigue Syndrome. 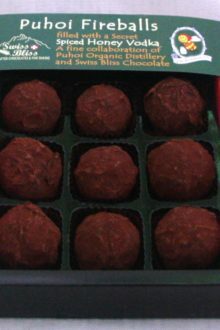 This effect is reached by the intensification of the blood flow to the brain triggered by consumption of this delicious Functional Chocolate. 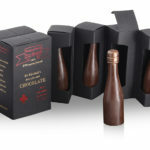 Rich with Anti-oxidants necessary for your liver to carry out its detoxification and cleansing functions, this Dairy-free Functional Chocolate is a great Dietary Supplement. This Functional Chocolate will become a good friend for your Endocrine system and will help to balance its daily activities. This unique product is being handcrafted in very Limited Editions (25 boxes of four chocolate bottles per batch) and quickly goes out of stock. 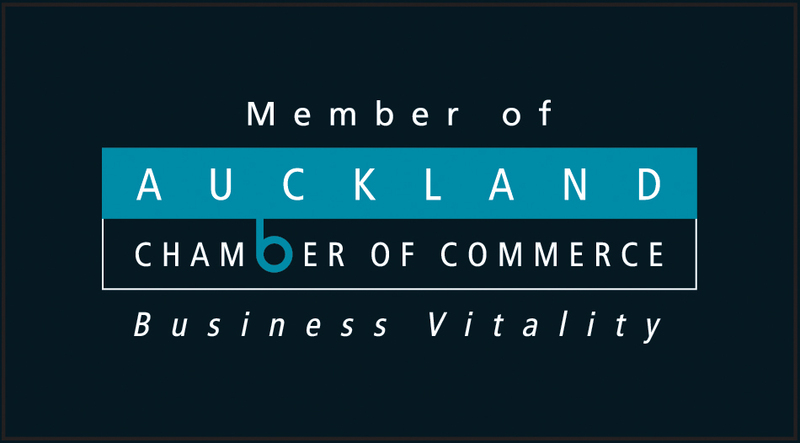 To ensure purchase, please join our customers’ waiting list by clicking here.